These power-packed smoothies ensure you don’t do overtime in the kitchen and keep you and your family healthy! The sinful goodness of Nutella, healthy greens and Horlicks, combined with a nutritious dose of nuts and fruits transform into lip-smacking smoothies that your child and you can both enjoy. 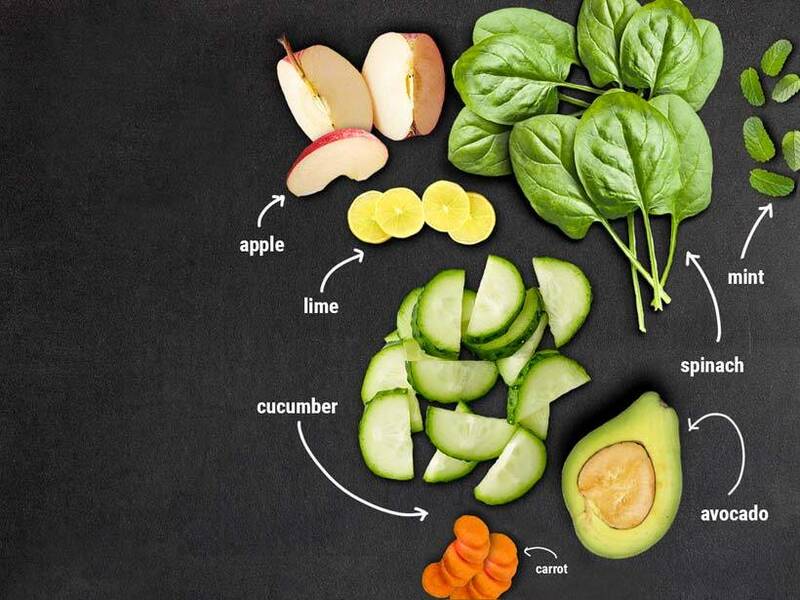 These power-packed smoothie recipes, courtesy Drunken Monkey, ensure you don’t do overtime in the kitchen! This detox drink does a lot more than just cleanse your body. The Vitamin C helps create collagen, which is essential in maintaining tissue and cellular health. The fibre strips the blood vessels clean of excess cholesterol health. The enzyme bromelain helps prevents coughs and colds. Wash all the fruits and vegetables. Peel and slice the kiwi, pineapple and carrot. Put all the sliced ingredients in the blender. Add water and ice cubes. Squeeze the juice from the lime. This is Horlicks in a superhero avatar. 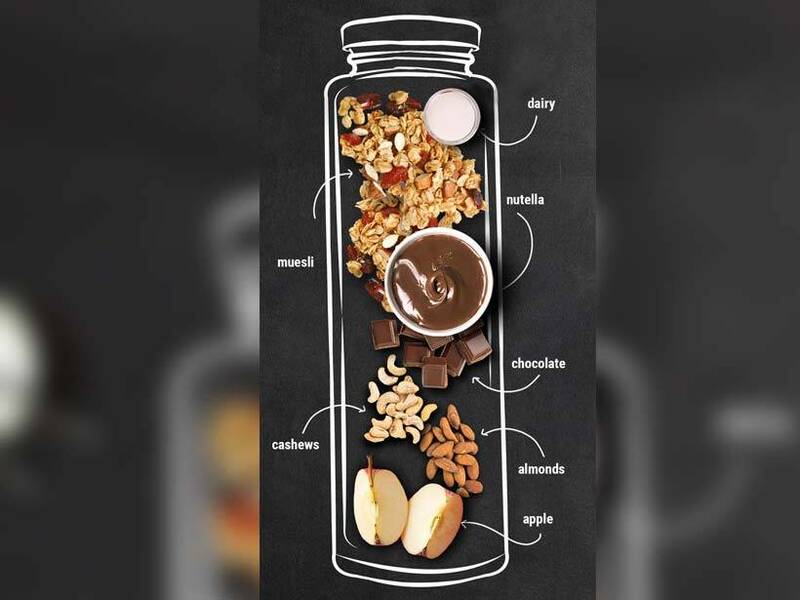 Blended with cashews, almonds, muesli and cornflakes along with a touch of apple, it’s a power-breakfast in a bottle! It’s loaded with fibre, helps improve blood circulation and keeps your bones strong with its calcium content. The Horlicks Meal Smoothie is rich in Vitamin E, Vitamin B1 and Vitamin A, strengthening your immune system while keeping you full and happy. Wash and slice the apple. Add all the ingredients in a blender, blend until smooth and serve. Muesli, apple, cashews and almonds are tumbled into a rich Nutella smoothie that’s rich in protein, iron and calcium. This powerhouse of a smoothie keeps you full and satisfied and also assists your body to absorb essential minerals. 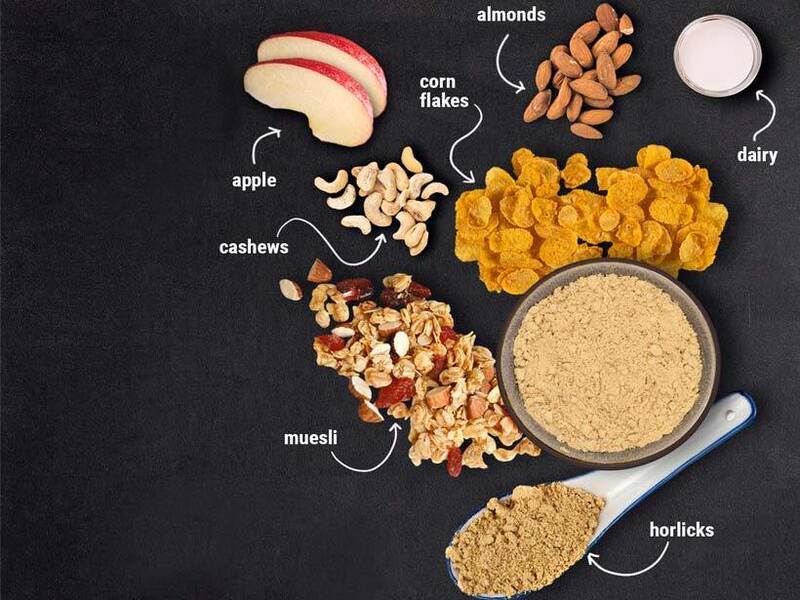 The fruits and nuts provide a great source of protein and omega-3 fatty acids. 3 Make these desserts from Goa at home!